The road to the Green Ranger continues as Rita Battles her Dragon Armored mother who tried to hide her from the darkness that Master Vile eventually instilled in her. The issue opens on a flashback to young Rita - who I guess always had white hair - hiding as her mother battles Tanga Warriors in their first comic appearance. The main focus of the issue is the Rangers and their ongoing inner conflicts as Alpha-1 shakes up the status quo. Jason and Trini’s relationship crashes before it even lifts off as she calls him out for expecting her to follow and support him no matter what and he can’t even contemplate why she’s angry to begin with. Meanwhile, Billy has apparently made his own Iron Man suit which is totally impressive, but it keeps malfunctioning. Zordon, rightfully so, refuses to let him take it out into the field. 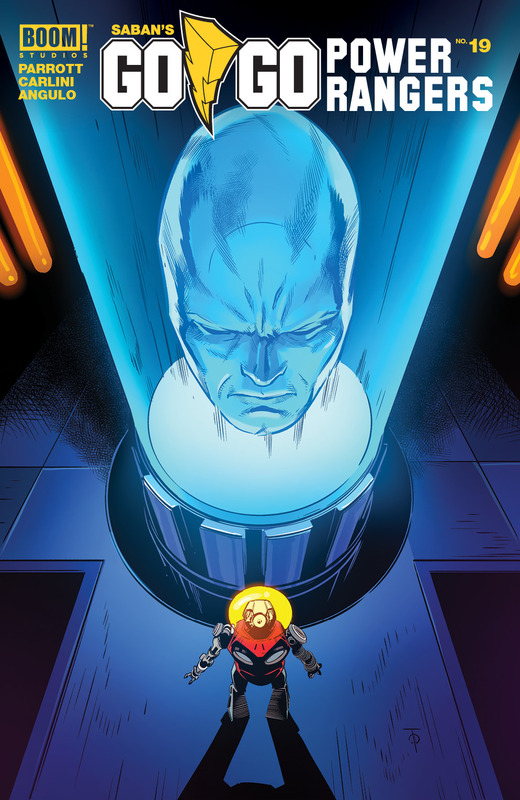 Alpha-1, who has already revealed will be the arc’s final villain in Previews, seems to be using this to manipulate the Rangers to go against Zordon. Jason gets some guidance counseling at school from the guidance counselor who I am 34% sure is a villain in disguise, Kim is sick of her parents trying to buy her affection pre-divorce, and then all of Rita’s generals and an army of Putties attack which is our cliffhanger for some reason. I guess they’re looking for Rita’s new Green Ranger but none of them were in the issue before so it kinda came outta nowhere. This issue felt kind of clunky, like it was just there to set up the following issues. This pre-Green Ranger / Alpha-1 arc has been kinda all over the place with maybe a bit too much going on. Jason and Trini’s new relationship is on the rocks, Billy lost the Promethea internship so he’s throwing himself into a dozen projects Iron Man 3 style, Rita’s fighting her mother, Goldar and the gang are looking for a Green Ranger, Alpha-1 is there for some reason, and everyone has a scene with the guidance counselor. While it can feel like too much is going on, it’s all still really good. Each individual scene is drawn and colored well, and the dialogue is all natural and snappy. It just feels like there may be too many different stories going on, no matter how well done those stories are. Click here to pick up the first volume of Go Go Power Rangers if you haven’t already. The world ended at comic con, but comic con never ended. Now, Long Con is a post-apocalyptic dystopia where fandom is law and survival is determined based on your knowledge of TV trivia. This issue is all about Flix Bixby, who I haven’t really talked about here yet because I didn’t think he was that relevant to the plot. But here he is starring in his own issue. 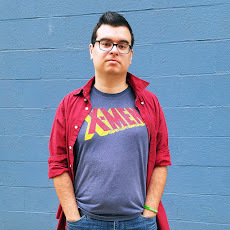 Flix is a washed up, has-been actor who I guess played a Wesley Crusher type character named Chip Nimitz on the show-within-a-comic Skylarks. Now he’s trying to survive in the Long Con by the seat of his pants. In this issue, he is brought before a judge to determine who is the definitive Chip Nimitz, Flix or a younger replacement actor. I gotta say since I haven’t paid too much attention to Flix I wasn’t too sure what was going on, but was basically The Long Con doing what it does best: depicting petty Internet fandoms in a brutal backdrop of a post-apocalyptic gathering of nerds and geeks. Flix was just an actor doing his job, yet a literal cult of his fans dragged him into a death match against the actor who replaced him. It’s a perfect allegory for fans who get vicious and attack creators online to the point of them deleting their social media or even leaving the industry altogether. Hey crazies, don’t harass a TV actor on Twitter. The main subplot involves Dez and the judge, one of her idols who has written many of her favorite novels. This also, to a lesser extent, shows a darker side of crazy fandom. While Dez isn’t throwing the judge inside of an arena, she’s definitely being a tad creepy and invading some personal space. Hey crazies, don’t do that either. 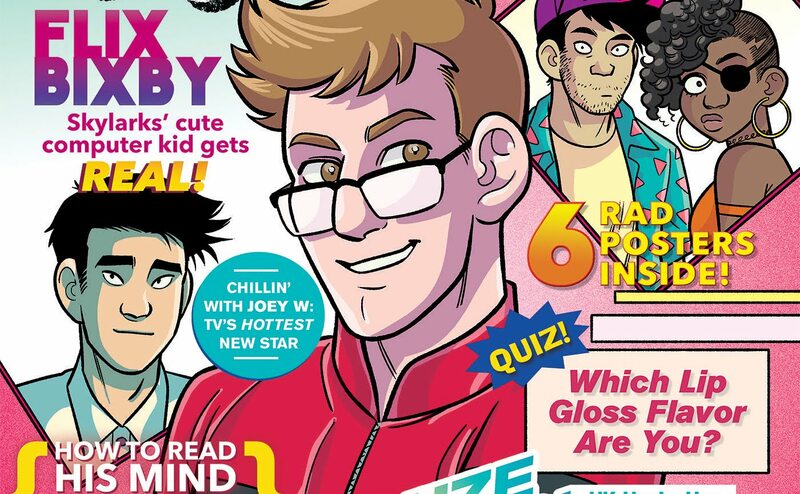 The next issue seems to be dealing with the concept of gatekeeping - deciding who is and isn’t a “real fan” for one dumb reason or another - and creating a metaphor around literal gatekeeping - preventing someone from passing through an actual gate. So that sounds awesome. The Long Con continues to be a hilarious take on fandom culture in the wonderfully drawn backdrop of the geek apocalypse. 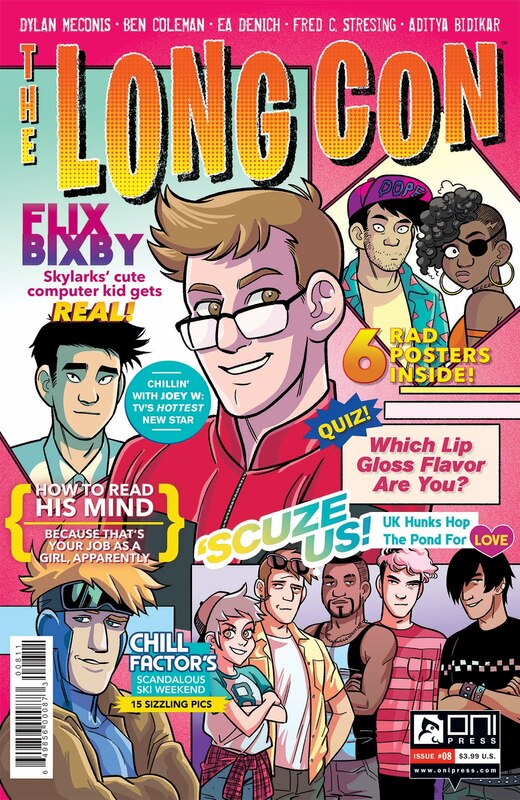 Click here to get your copy of the first volume of The Long Con and click here to pre-order the second and final volume, out this October. The final arc in this giant robot masterpiece by Grek Pak and Takeshi Miyazawa hits local comic shops this week and everyone books are sold next week. Click here to pre-order your copy. Click here for the first volume and here for the second if you want to get the whole series. The Long Con sounds intriguing. Like you've touched on in your review, it's probably not too far from reality - the world of Fandom can be pretty brutal. And I really like the comic cover, it looks like one of those cheesy celeb magazines. I like the Long Con a lot. That seems interesting.